For the third time in four years, grassroots activists in Maryland have defeated an anti-boycott bill. It’s a testament to the organizing skills of the Freedom2Boycott coalition that although the bill had the support of the Governor, State Comptroller, and former diplomat Dennis Ross, the bill died unceremoniously in committee without so much as a vote. The bill would have achieved its aim by creating a blacklist of individuals, non government organizations, businesses, and organizations that boycott Israel or “Israeli controlled territory,” i.e. the settlements. Those on the blacklist would have been barred from receiving a contract with the state or investment from the state’s pension fund. This is blatantly unconstitutional. The Supreme Court has ruled a boycott meant to achieve political, social, or economic change is political speech and thus protected by the First Amendment. The Supreme Court has also held one cannot be denied a public benefit, because of their First Amendment protected speech, going so far as to say independent contractors have the same free speech rights as public employees. See Also Letter from Defending Rights & Dissent and leading civil liberties groups explaining in depth why the bill was unconstitutional. While this legislation was unconstitutional, its defeat was made possible, because of Freedom2Boycott Maryland and other grassroots advocates. A number of activists worked tirelessly, conducting public education, reaching out to members of the Maryland General Assembly, and showing up to testify against the bill en mass. Activists sprang into action, as soon as, the supporters of the bill publicly announced their intent to file it. Freedom2Boycott Maryland was able to so quickly leap into action, because they drew on years of organizing experience. Four years ago, members of the Maryland General Assembly, including Del. Ben Kramer (D-District 19) who was one of co-sponsors of the current anti-BSD bill, put forward a bill aimed at punishing academic associations, like the American Studies Association, that support an “academic boycott” of Israeli-state institutions they believed were complicit in human rights abuses. When this bill was first introduced, with little fanfare, it had a large number of co-sponsors in the House of Delegates meaning that it was likely to pass. Yet, free speech advocates, peace activists, and supporters of Palestinian human rights formed the Keep Free Speech in the Free State Coalition. The Keep Free Speech Coalition was able to raise public outcry against the bill and even some of its co-sponsors began to oppose it. At the height of its campaign, Keep Free Speech in the Free State brought around 27 individuals to testify at the hearing against it. The bill ended up dying in committee without a vote. Del. Kramer tried, unsuccessfully, to bring it back to life as an amendment to budget on the floor, but was only able to get nonbinding symbolic language into the budget. Two years later, a local paper reported that several legislators were thinking about introducing an anti-boycott bill, similar to the one that was introduced this session. 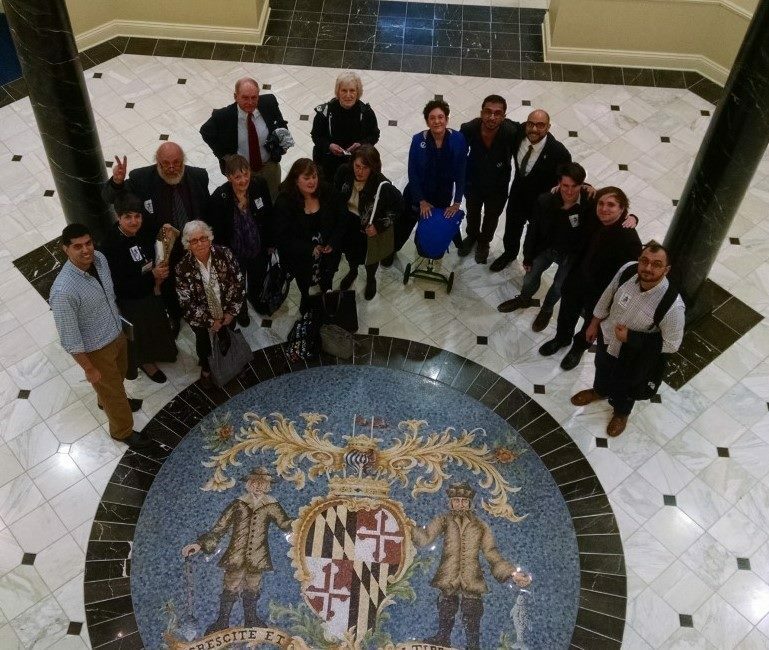 Veterans of the previous campaign and some newcomers formed the Freedom2Boycott Maryland Coalition to preemptively oppose any anti-boycott bill. Fredoom2Boycott Maryland organized a grassroots lobby night that brought over 35 people to Annapolis. In the end, the bill was never even introduced. With anti-protest bills, and more specifically, anti-boycott bills passing in state legislatures across the country the story of how grassroots activists have not once, but thrice, defeated these bills is truly inspiring. Please write to Assistant Secretary Marcus today and tell him to protect civil rights, not shred free speech.